Joint Pains That May Pay Dividends. Not all joint pains can be cured with a miracle healing. If you have joint pains that will not go away, and no miracle healing has been able to cure, then you might be permanently disabled. It is no secret that most people are likely to have “good days” and “bad days.”If your condition consists mostly of joint pains, there may be days when you feel that you can work. Your pain may fluctuate and may not always be present. 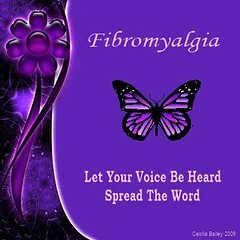 You may be suffering from fibromyalgia. Fibromyalgia is a complex medical condition characterized primarily by widespread pain in the joints, muscles, tendons, or nearby soft tissues. If your pain or other symptoms cause a limitation or restriction that has more than a minimal effect on your ability to perform basic work activities, you could qualify for disability benefits from the Social Security Administration. The Social Security Administration has issued a comprehensive statement that provides guidance on how disability claims based on fibromyalgia should be evaluated. It is contained in Social Security Ruling (SSR) 12-2p. Rulings are published under the authority of the Commissioner of Social Security and make available to the public a series of precedential decisions relating to Federal old-age, survivors, disability, supplemental security income (SSI), and black lung benefits programs. Social Security Rulings (SSR) may be based on case decisions made at all administrative levels of adjudication, Federal court decisions, Commissioner’s decisions, opinions of the Office of the General Counsel, and other policy interpretations of the law and regulations. Rulings do not have the force and effect of the law or regulations, but they are binding on all components of the Social Security Administration (SSA), and are to be relied upon as precedents in adjudicating other cases. Social Security Ruling (SSR) 12-2p, provides guidance on how the Administration will develop evidence to establish that a person has a medically determinable impairment (MDI) of fibromyalgia, and how it will evaluate this condition in disability claims and in continuing disability reviews under both Titles II (SSDC) and XVI (SSI) of the Social Security Act. The ruling, which was effective upon publication, appears in the July 25, 2012, issue of the Federal Register (77 Fed. Reg. 43640). The new ruling relies on two alternative sets of guidelines for establishing the presence of fibromyalgia, the 1990 American College of Rheumatology (ACR) Criteria for the Classification of Fibromyalgia or the 2010 ACR Preliminary Diagnostic Criteria. Additionally, particular emphasis is given to longitudinal evidence and a recognition that one suffering from the condition is likely to have “good days” and “bad days.” This clearly increases the role played by a treating physician in establishing the presence of fibromyalgia. The detailed guidance provided by SSR 12-2p should also restrain adjudicators who might be predisposed to deny claims based on fibromyalgia when it is otherwise clearly established in accordance with the Ruling. Fibromyalgia is a complex medical condition characterized primarily by widespread pain in the joints, muscles, tendons, or nearby soft tissues that has persisted for at least three months. Generally, an MDI of fibromyalgia can be established through evidence provided by “an acceptable medical source,” i.e., a physician or osteopath. However, the Administration will not rely on a diagnosis without evidence. The evidence must document that the physician reviewed the person’s medical history and conducted a physical examination. (1) A history of widespread pain. This means pain in all quadrants of the body that has persisted for at least three months, although the pain may fluctuate and may not always be present. 2010 ACR Preliminary Diagnostic Criteria: Repeated manifestations of six or more fibromyalgia symptoms, signs or co-occuring conditions, especially manifestations of fatigue, cognitive or memory problems, waking unrefreshed, depression anxiety disorder, or irritable bowel syndrome. A complete list of symptoms appears in the notice. (3) Evidence that other disorders that could cause the symptoms or signs have been ruled out. The Administration will generally request documentation for the 12-month period that precedes the application date. Evidence may also be considered from medical sources who are not “acceptable medical sources” such as psychologists, as well as from nonmedical sources such as neighbors, friends, employers, rehab counselors, teachers, and Administration personnel who have interviewed the claimant. If the evidence is insufficient, the Administration may purchase a consultative examination; however, the Ruling notes that the consultative examiner should have access to longitudinal information about the claimant. However, it is not a necessary requirement. Once an MDI is established, the Administration will then evaluate the intensity and persistence of the person’s pain or any other symptoms and determine the extent to which the symptoms limit the person’s capacity for work. If objective medical evidence does not substantiate the person’s statements about the intensity, persistence, and functionally limiting effects of symptoms, all of the evidence in the case record will be considered, including the person’s daily activities, medications or other treatments the person uses, or has used, to alleviate symptoms; the nature and frequency of the person’s attempts to obtain medical treatment for symptoms; and statements by other people about the person’s symptoms. Once an MDI of fibromyalgia is established, it will then be considered in the five-step sequential evaluation process. At step two, when determining severity, the ruling states, “If the person’s pain or other symptoms cause a limitation or restriction that has more than a minimal effect on the ability to perform basic work activities, we will find that the person has a severe impairment(s).” Because fibromyalgia is not a listed impairment, the Administration at step three, will determine whether FM medically equals a listing (for example, listing 14.09D in the listing for inflammatory arthritis), or whether it medically equals a listing in combination with at least one other medically determinable impairment.